Liverpool stand just three games away from completing a full Premier League season with an unbeaten home record - but Jürgen Klopp is thinking no further ahead than Saturday’s meeting with AFC Bournemouth at Anfield. Crystal Palace were the last visitors to leave L4 with three points in April last year, with the Reds’ top-flight record on home turf so far this term featuring 10 wins and six draws. 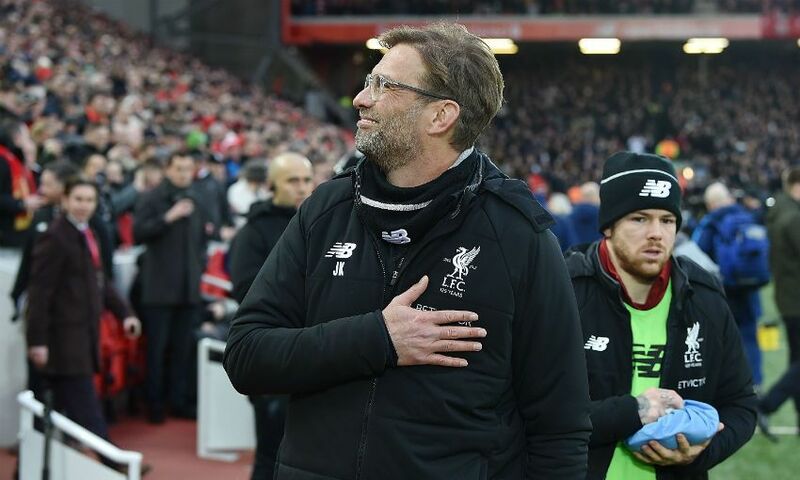 Six of Klopp’s team’s last seven Anfield assignments in the league have ended in victory, with games against the Cherries, Stoke City and Brighton and Hove Albion still to come before the end of the campaign. However, while acknowledging that finishing 2017-18 without tasting top-flight defeat at home would please him, the manager insists his sole focus is on the test Eddie Howe’s ‘really good’ side will provide this weekend. “I would love it [going the whole season unbeaten at home], but three draws would not make me really happy to be 100 per cent honest,” Klopp said at his pre-match press conference. “I have no problem with records and stuff like that, it’s always good, but it’s really about the next game. “Again, Bournemouth - how I see it, and I don’t want to be disrespectful, but they are a ‘small’ club there in the south of England, a wonderful region, [and] they do an outstanding job. “They’ve saved the league pretty much four or five matchdays before the end of the season [while] big, big history clubs struggle or are already in the Championship, or maybe will go there. It’s such a big achievement, really. “Eddie Howe and his staff and the boys there, what they are doing there is unbelievable so they have all my respect and I don’t think for a second about the other games after that. “Bournemouth, they are a football-playing side, a good counter-attacking side, fantastic squad, different options, strikers, wingers. OK, Stanislas is out, but still really good options. “They’ve changed a lot during the year, line-up wise, so always reacted and still stayed to their style and that’s really good, I have to say. “I know when we always talk about managers of the year, stuff like that, it’s always the guys up [at the top] and who is champion or whatever, but what Eddie Howe is doing there is outstandingly good.